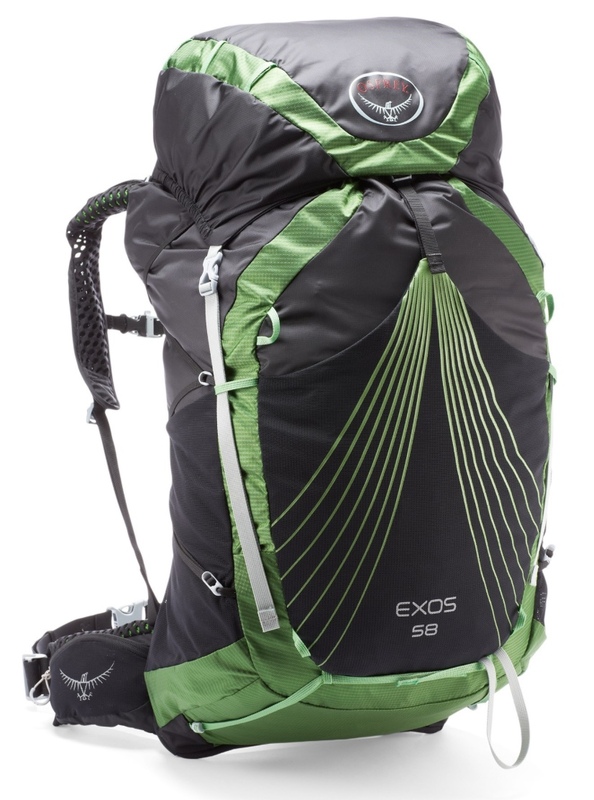 A comfortable, breathable, lightweight, and super roomy backpacking pack for both men & women. Comfort: I'll admit, I was a little scared about using this pack at it's top weight. As I was coming from the Aura 65, I could already see that the hip belt was not as padded and was a different webbing style, so I was concerned. But, I was happily surprised! My first experience with the pack was on a 6-day backpacking trip to Yosemite where I was carrying max 45 lbs to begin with. I didn't experience any rubbing or digging-in, and as usual, the airflow from the suspended back panel is amazing, just like all Osprey packs. I did experience some hip rubbing on the most recent trip with this pack, but I was wearing a different top, and different underwear under my pants, which may have contributed. Accessibility: Unlike my Aura 65, I have not had any problems reaching for water bottles in this pack, which I appreciate since I use SmartWater bottles for drinking. I also love the shoulder strap mini-pockets, which are perfect for stashing lip balm, a small sunscreen, or an energy gel pack. Space/ Size: I love when I open up this pack that there is just so much room in it! Even though I have decreased the size of my backpack from 65 L in the Aura, this pack feels roomier, and I feel like I have an easier time shoving things into this pack. I can fit a bear canister horizontally. I always feel like I have more than enough room in this pack. Also, the front mesh pocket is amazing. It's huge and is great for stashing things I want to access quickly, like my trowel and water filter, and also for storing wet things: my rain jacket, or tent rainfly. Customization: By this I mean that things can be easily removed. Like the top lid, saving about 3 ounces. Since this pack has the built-in FlapJacket, I can use that as a lid and save weight. I can also take off the sleeping pad straps, which is convenient because I don't use a pad that straps to the outside of the pack. Weight: Sub-3 lbs! Lightweight! And comfortable! Obviously, this pack is not ideal for those carrying heavier loads, but for someone who is upgrading their gear into the ultralight category, this pack is definitely a good option. There's a reason many thru-hikers of long trails use this pack. The Hipbelt: Unlike the Aura, the hipbelt is "non adjustable", meaning there isn't an extra piece of padded material that can be pulled out/ pushed in and velcro-ed in place to accommodate for a larger hip. This is slightly uncomfortable, but really only when you're loading the pack to its limits. I'm also not a fan of the hipbelt pockets. They are pretty tiny, and definitely don't fit my phone. They can really only fit some snacks (like, 2 Clif bars), and my phone half hanging out. The last thing is the adjustment/ tightening on it. I find that its difficult to adjust because of how the straps work, and that they frequently loosen during the day. In fairness, it pretty easy to adjust once you've tightened the belt a little bit, but if it gets loosened completely, you have to wiggle the adjustment strap forward until you can get your thumb in there to tighten it. Honestly, these small issues were a small trade-off to what I perceived as pros of this pack. The Side Compression Straps: I find these to be annoying. They have two adjustment points: one towards the top/ middle which lands under the lid when closed, and the other in the side pocket area, which makes it annoying to adjust them. They're pretty small and I feel like they don't do much, especially if your bag is packed solid. Overall, I really like this pack. I've only put about 75 miles miles on it so far, but it has held up really well and I've been happy with my switch from the Aura to this one. I encourage other women to check out this pack, even though it is not "women's specific", though if you have a super small torso, this may not work for you. Note: Osprey is set to release a new version of this pack for men and a separate version for women in Spring 2018, and it has some changes. You can check out some early reviews here.